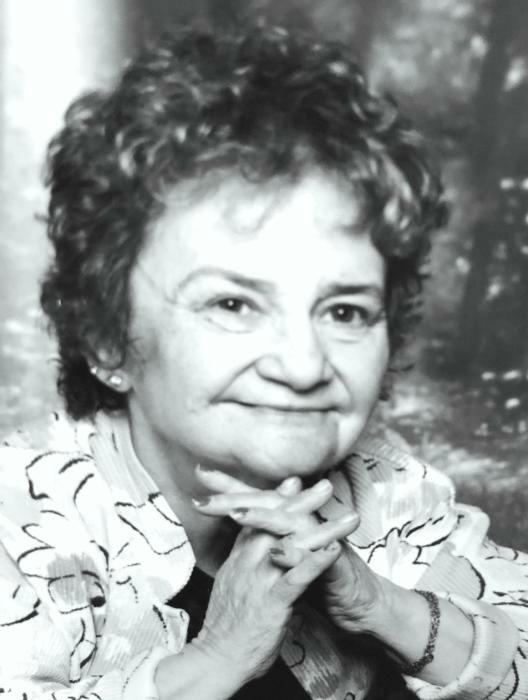 Pamela Rose Potter, age 77 of Grand Haven, passed away Tuesday, February 12, 2019 in Allendale. She was born on March 23, 1941 in Belding, MI to the late William E. Wright, and Violet A. (Wilson) Martin-Zerba. Pamela married Melvin W. Currier Sr. on February 23, 1957 in Grand Haven, and he preceded her in death on May 5, 2017. She later married Lawrence C. Potter on October 1, 1988, and he preceded her in death on May 2, 2007. In her working years, she worked at Bil-Mar Farms, General Electric, and later, selling goods with Lawrence at the local flea markets. Pam loved getting together with friends and playing cards, especially poker. She also enjoyed crocheting and storytelling. Pam’s family was very important to her, and she cherished spending quality time with them up North at the family cabin in Baldwin. Pamela will be lovingly remembered and missed by her two daughters, Cheryl (Steve) Poel and Dana (Bill) DeWitte; son, Shawn Currier Sr.; step-children: Robert Butcher, Larry Potter, Jeffery Potter, Diana Kirby, Rebecca Todd, Janet Potter, Regina Nelson, and Jennifer Melvin; 12 grandchildren; 21 great-grandchildren; one great-great-grandchild; her sister, Patricia Clark; and brother, Joseph (Peggy) Zerba. She was preceded in death by a son, Melvin Currier Jr.; parents, Joseph and Violet Zerba; brother, Merle “Nick” Martin; and sister, Cynthia Branch. The Funeral Service will be at 2:00 p.m. on Monday, February 18, 2019 at Klaassen Family Funeral Home. Visitation will be one hour prior to the service at the funeral home. Interment will be at Grand Haven Township Lakeshore Cemetery.